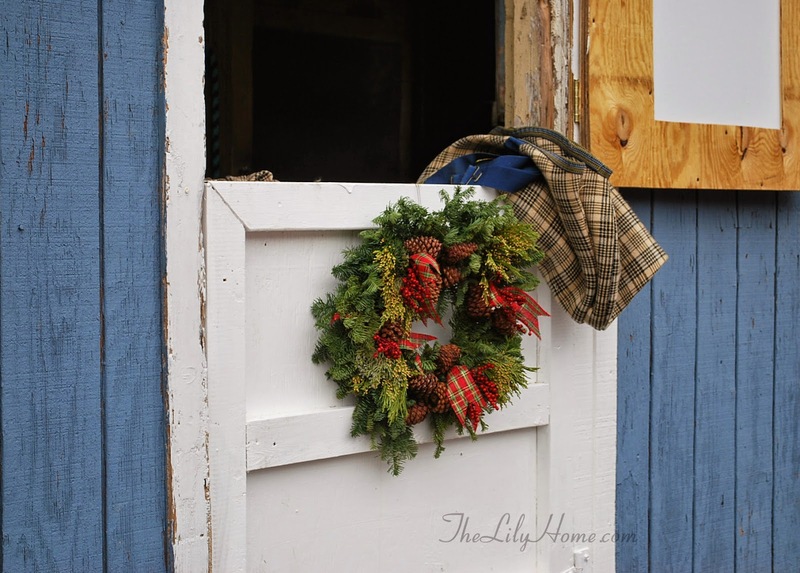 One of my favorite places to be during the Christmas season is at the barn. A favorite Christmas eve of mine was spent riding in a dimly lit arena with no sounds but the falling snow and hooves softly hitting the dirt. So peaceful. Jack the horse loves cold weather. He's got his green winter horse blanket on in preparation for the holiday festivities. You can take the girl out of the barn, but you can't take the barn out of the girl. This is a pair of pillows I made for TheLilyHome.com from an antique German grainsack. The horse and all writing were hand done using wood and hot tar to burn in the design. 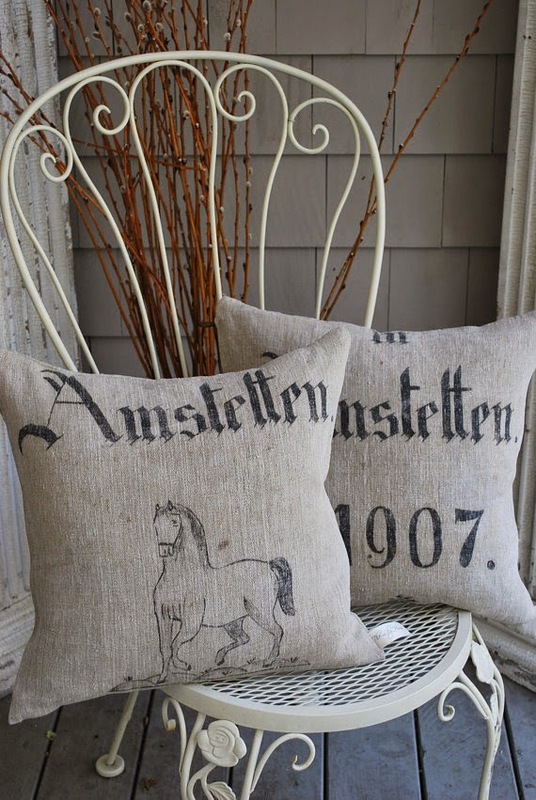 Grain sacks with designs of horses are really rare, and very sought after. 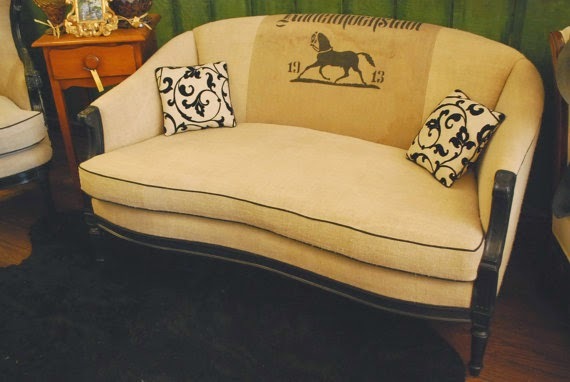 This beautiful settee found a home with a horse loving family. I did the entire loveseat in antique European homespun linen. It is so soft, and so durable. The back is covered in an antique German grainsack dating from 1913. It will make a great wall hanging. Do you see the hand-stitched patchwork? 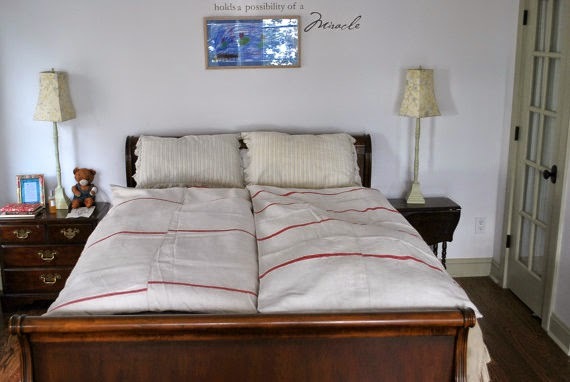 Among my collection of antique French and European textiles are my antique European duvet covers. I am curled up under one on my sofa right now. Okay I get that there is no horse on this, but it fits SO well with any equestrian home, any barn home, or any country home at all. 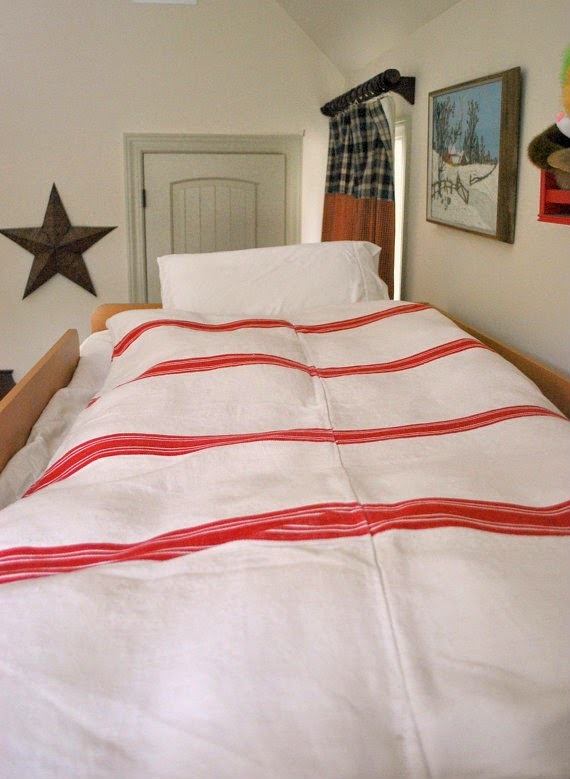 Whether in Texas or the French countryside, these antique duvets just work beautifully. And they are washable! Look for more of these at TheLilyHome.com and if you don't see what you want, email me at FreshDesignGroup@gmail.com or leave me a comment here. I have many more than what are on my website. Perfect for the country Christmas!